The Impressionists learnt something of what they had to teach and, even if they were still unable to free themselves from having to use the subject as a support, we cannot deny that their first loyalty was always given to painting itself. It is true that 'the mysterious effects of line' escaped them, but 'the harmony, the melody and the counterpoint of colour' were their constant concern, to such an extent that they were led to challenge the conformist etiquette of the static, classical drawing. 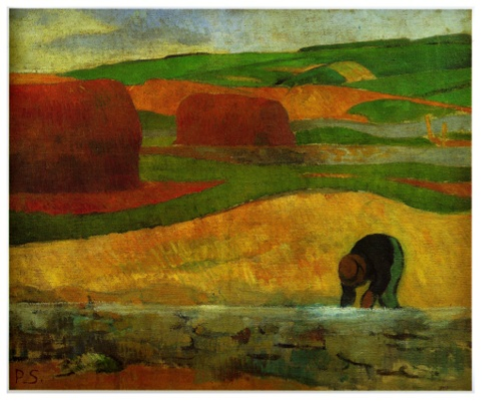 Then there were the Nabis, Gauguin at their head, exploring, under the impulse given by their predecessors, this domain of painting, always full of mysteries, and always revealing itself to be rich in human and technical possibilities. It is easy to make facile criticisms of a painter such as Sérusier, but he is still a mine of profound ideas, which every authentic painter ought to explore, while, certainly, distinguishing the dross that is mixed up in it and which can, nowadays, be easily identified - scientific and literary nonsense, a result of the persistence of the subject, which hinders the expansion of the object. 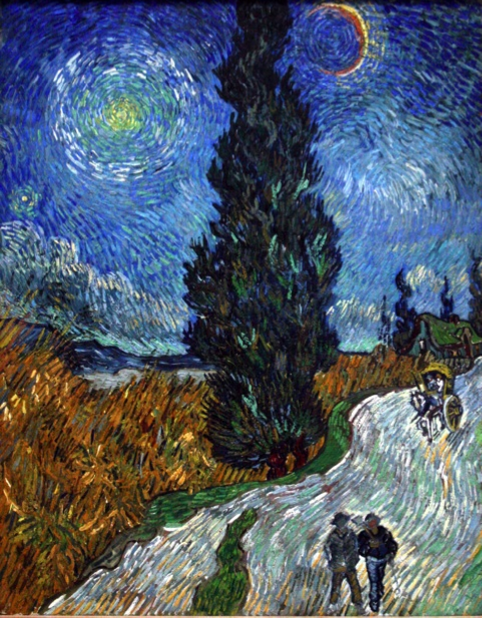 The work of Van Gogh has been seen as the product of a madness which never existed outside the heads of his interpreters. Drawn towards the resolution of this essentially pictorial, essentially ocular, problem of space and time, of equilibrium and movement, Van Gogh was the first to search how measure, cadence and rhythm could be linked together by means of line and colour. He is still constrained by the subject - the habit is hard to kick - but he is obsessed by the object. For a moment he holds it in his hand, then it escapes him, then he catches it again, and brings us up close to 'the arabesque and the music of line and colour which for many people are nothing.' How Delacroix would have understood him! And how Baudelaire would have seen in him something other than madness. The fact is that the ability to reason is a privilege that is reserved to only a few. The problem is clearly stated by Cezanne, whose work is a frontal attack on the subject. It is shaken by the object, and, for those who understand the drama as it unfolds, it is the struggle in full action between nature and Naturalism, between the man who acts and the man who is nothing more than a spectator. The strategy that Cézanne employs is not a matter of sensibility, but of method, of logic. That is why what he taught - heavy in consequences - will oblige those generations that followed him to come to a conclusion. Cezanne, as soon as he finds a suitable occasion, as, for example, in his Still Lifes, dismantles the subject. He breaks the effects of the unified perspective and multiplies the points of view. And that enables him to lift his head and to allow his eyes to turn. For perspective has only one point of view, that of the eye that is fixed on the geometrical plane; plural perspective is the sight raised up in its wholeness, and assuming, putting it into cadence, the whole vertical plane of the canvas or of the wall. Consequently, this canvas and this wall are no longer a matter of indifference to painting, but become its inert support, which the painter will invest with properties of equilibrium or of movement according to the duality of his nature as man. 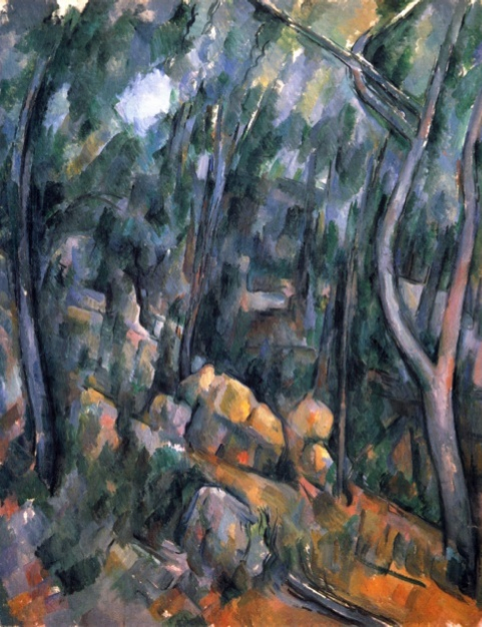 Cezanne recognised the existence and potentialities of the plane surface of the canvas and of the wall. 'It is as I am'. That is probably what is at the origin of his famous remarks on the cube, the cylinder, and on nature. What exactly did he understand by nature? In fact, it seems likely that he had an intuition of something connected with the 'temperament' to which he attached so much importance, and which was really nothing other than himself, but which he could not formulate because of the deference to the enemy-subject which he never quite managed to lose. The proof that this was the direction of his thought lies in the gradual and prudent reduction of the importance of the subject in his works - which continues right to the end, and becomes more and more obvious - in favour of the object-painting, made up of 'lines and colours, arabesques and music, which for many people are nothing'. Delacroix and Baudelaire continue to point the way for the technical researches of the painters who come after them, whose justification - we must never stop repeating it - lies in the restoration of painting as such, and not as an accessory to the expression of intellectual, literary or sentimental ideas - ideas which, with the help of talent and of persistence, were trying then, as they are trying still, to usurp painting to their own advantage. We are, then, dealing with a craft, many of whose secrets still need to be rediscovered; and the artist, victim of an imposture, dazzling in the marvels by which it was imposed, must accept, humbly, that, before all else, he is a craftsman. Otherwise, he will be lost, and eventually reclaimed by what he says he wishes to escape. It is as a craftsman that he must turn to the masters of yesterday and to those of the older painters who are still alive. They will speak to him in his own language, and not in a jargon that is foreign to him.. They will teach him certain laws and rules of syntax to which he must submit if he is to be free and, in turn, become a master of his art. They will, in the end, give him the means of finding things that they themselves were unable to find. A slow and continuous initiation which, never allowing the painter to stray from his object, endows, with the most perfect objectivity, the painted work. 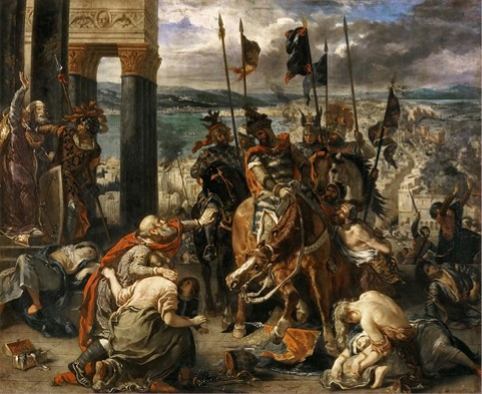 Delacroix is not to be found in a Lion, nor in a Horseman, neither in the episode of the Taking of Constantinople by the Crusaders, nor in that of Sardanapalus. Seen in one way - exercises of the hand and of the eye; seen in another - bombastic, subjective literature. He is in what he really was and what, unquestionably, he wanted to put above everything else: a painter, through his painting, creating himself ! His researches were technical; his writings proclaim it to all who, knowing the craft, have eyes to see and ears to hear. The Impressionists, the Nabis, Van Gogh, Cezanne, were craftsmen, able to understand the lesson and to see it.